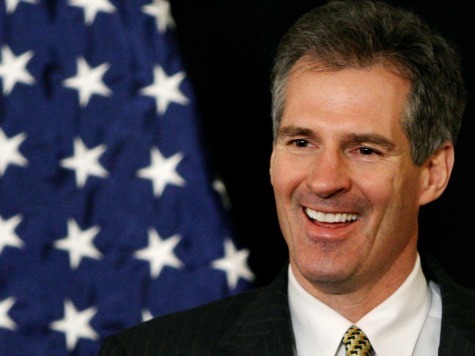 Former Sen. Scott Brown (R-MA) is defying the skeptics by making the New Hampshire race against incumbent Democrat Sen. Jeanne Shaheen a real contest. Though he voted as a centrist in Washington, D.C.–even casting a critical vote for the Dodd-Frank financial reforms–Brown has recaptured conservative zeal in opposing amnesty for illegal immigrants and emphasizing national security. He has focused the attention of an electorate increasingly convinced that the country is not safe, and that Democrats cannot protect it. 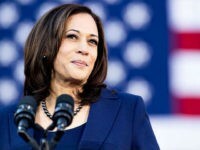 It might have been expected that Brown would have emphasized Obamacare–a law that remains deeply unpopular, and which formed the basis of Brown’s first upset victory in 2010. It is too easy to forget that the other issue Brown campaigned on in that election was opposition to the Obama administration’s attempts to try 9/11 mastermind Khaled Sheikh Mohammed, among other terrorists, in a federal court in New York City rather than a military tribunal in Guantanamo Bay. Scott Brown’s stunning victory in Massachusetts Tuesday triggered a wave of dire predictions about health reform, but Brown’s win also could pose a threat to a less obvious aspect of President Barack Obama’s agenda – his anti-terror policies and plans to shut down Guantanamo Bay prison. During the campaign, Brown repeatedly railed against criminal trials for terrorism suspects, took out a television ad opposing giving “rights to terrorists who want to harm us” and declared that he did not view water-boarding as torture. And in his nationally televised victory speech Tuesday night, the senator-elect seized on the issue again. Brown–a veteran himself–is again combining foreign and domestic themes.